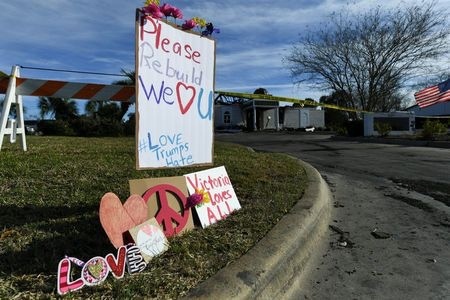 After the one mosque in the small town of Victoria, Texas mysteriously burned to the ground on Saturday, representatives of the single Jewish synagogue gave keys to the mosque founders so their community could have another place to pray. “Jewish community members walked into my home and gave me a key to the synagogue,” mosque co-founder Shahid Hashmi told the New York Times. “This is sad for everyone in the community and as Jews we especially have to feel for the Muslim community. When a calamity like this happens, we have to stand together,” (said Robert Loeb, president of the Bnai Israel synagogue). How fast things move! Here’s us, suggesting that media people stop using the cutesy term “alt right” to describe Sieg Heiling white supremacists. But they’re already moving onto panel discussions on whether Jews are people. The Atlantic’s Steven Heller’s feature about the Jewish designers at the forefront of mid-century modernism, from George Nelson to Saul Bass to Alvin Lustig is pegged on a new exhibition titled Designing Home: Jews and Midcentury Modernism at San Francisco’s Contemporary Jewish Museum. Dan Amira writes, An unnamed English teacher at Albany High School who wanted to “challenge” his/her students to “formulate a persuasive argument” tasked them with writing an essay about why “Jews are evil,” as if they were trying to convince a Nazi official of their loyalty Time for a teacher training day!